Learn everything you ever needed to know about managing your own greenhouse! “A garden should be easy and fun to care for—don’t complicate things unnecessarily.” This is the slogan of author Inger Palmstierna. 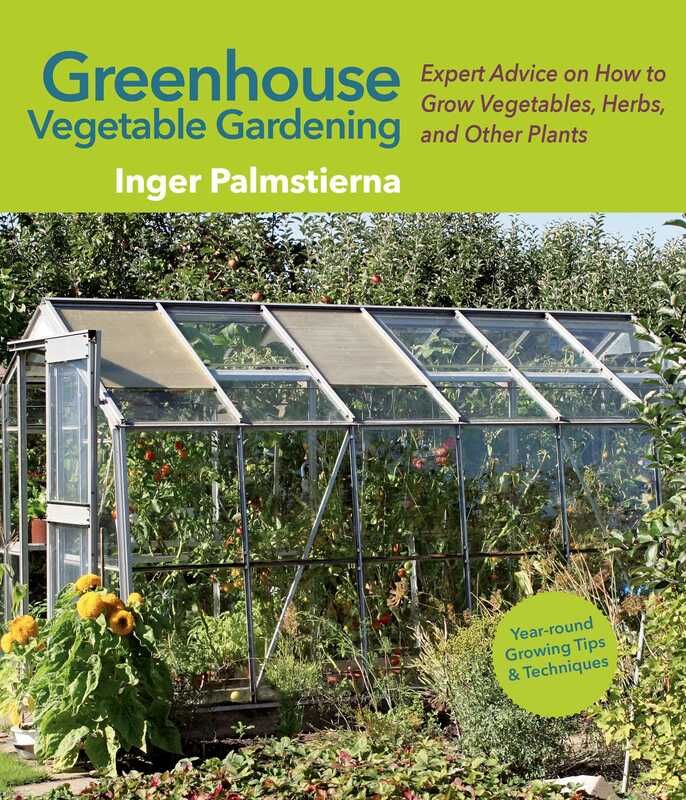 In Greenhouse Vegetable Gardening, she helps readers find the joy of cultivating in their very own greenhouses. Palmstierna is a gardening authority with vast knowledge on everything that grows. With infectious enthusiasm, this garden writer and horticulturist explains how to cultivate a successful garden or orchard. In addition to providing a garden year-round, the greenhouse can also be a beautiful addition to your yard and can be customized to match your tastes. You’ll learn the basics on what to consider when buying, laying the foundations for, and decorating your greenhouse—as well as how to plan and use one. Soon after you’ll be ready to explore the many types of vegetables and flowering plants that thrive in greenhouses. So get ready to enjoy fresh vegetables and flowers year-round!